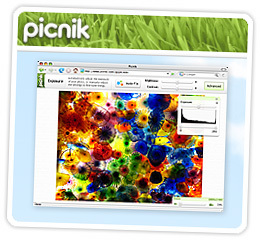 As of now, I don’t see any changes on Picnik website, but I am sure it will soon get Google integration. Means you can login using any Google ID to use Picnik. Picnik is a great website to edit, crop, do touch-ups and add cool effects to your photos online. You can import your photos from Picasa Web Albums, Flickr or Facebook or from your computer. Brilliant publish! I’ve bookmark this web page to return later. thanks! Thanks really a lot for placing with each other this excellent website.